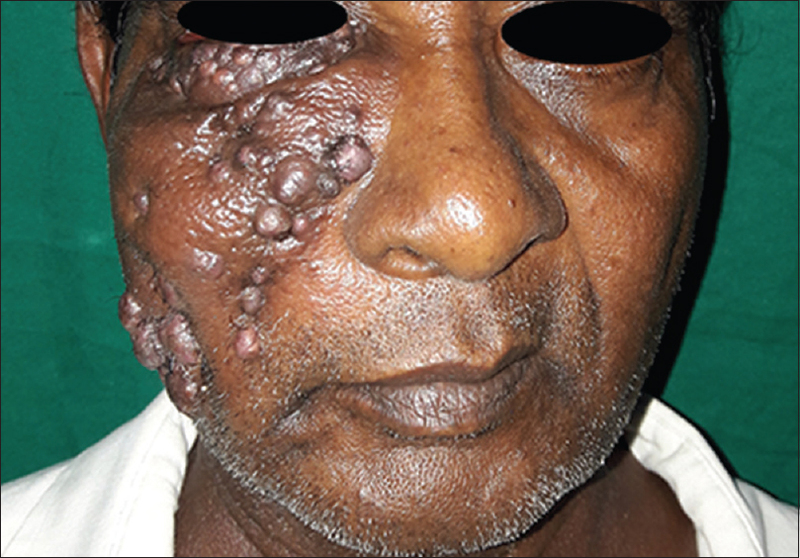 Cervicofacial actinomycosis is an invasive destructive infectious syndrome, caused by Gram-positive, branching filamentous bacteria, Actinomyces. 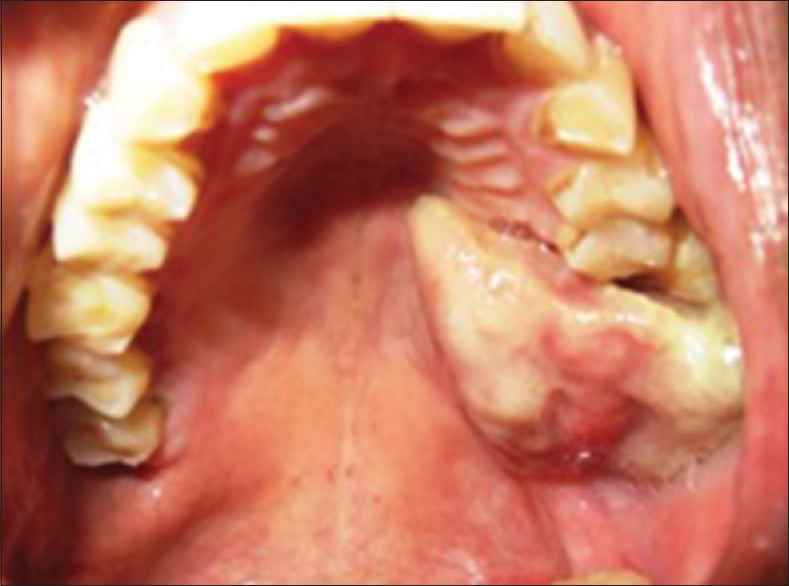 Most of the cases are traced to an odontogenic source with periapical abscess and posttraumatic or surgical complications with poor hygiene and immunosuppression as contributing factors. 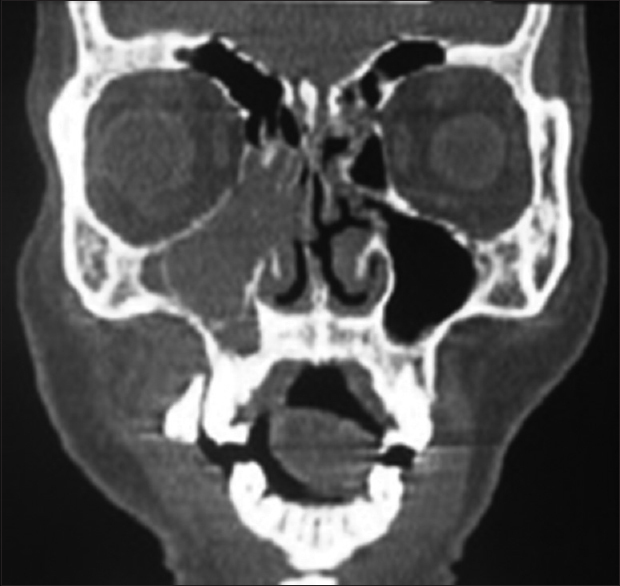 In this paper, the authors report two cases of cervicofacial actinomycosis, one presented with intraoral granulomatous lesion treated with surgical curettage and intramuscular penicillin and another case with extraoral swelling and multiple draining sinuses treated with oral antibiotics. 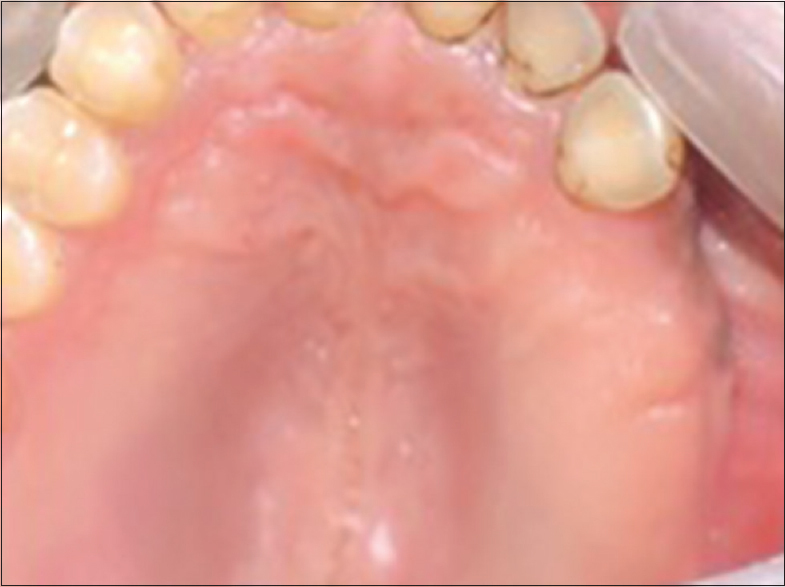 A 48-year-male patient reported with growth in the upper left back tooth region for 3 months associated with intermittent, lancinating type of pain. There was no history of any discharge from the growth and paraesthesia. The patient underwent extraction of upper left molar along with excision of growth in the same region 2 years back. The biopsy report was suggestive of granulation tissue. On physical examination of the present lesion, the growth was of size 4 cm × 5 cm extending anteriorly to the distal surface of maxillary second premolar and posteriorly to the maxillary tuberosity region. 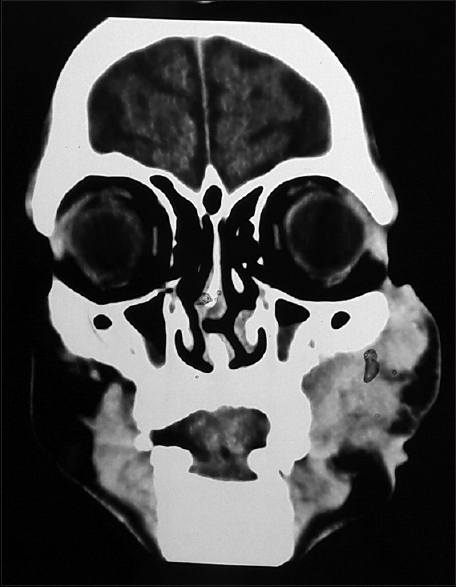 A 60-year-old male patient reported with swelling with recurrent eruptions and pus discharge over the right side of the face in the middle third region for the past 2 years. The patient gave a history of trauma 2 years back and suturing was done for the laceration in the infraorbital region by a local registered medical practitioner.